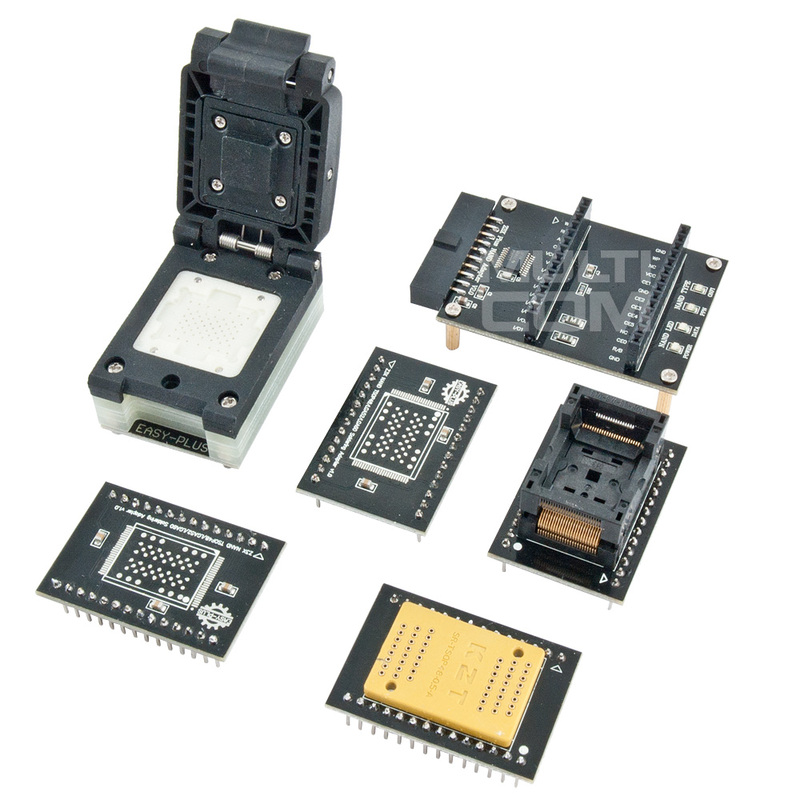 Adapter set NAND Z3x Plus for iPhone / iPad (EasyJTAG NANDKit) allows reading/writing of parameters such as SN, Wifi SN, BT SN, iConfig from iPhone / iPad memory chips using the NAND protocol. This allows you to replace damaged NAND bones, upgrade the memory size in the iPhone. 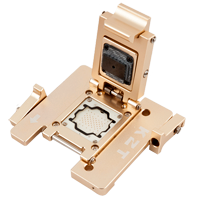 NAND Flash Test Socket for iPhone 4 / 4S / 5 / 5C / 5S / 6 / 6P allows tests NAND memory (LGA60) after desoldering from board without need to solder it to board. This operation are usefull if you are repairign software problems or replacing NAND and want to test it on board before you will solder it. Adapter allows conect all necessary flex tapes as LCD, battery and connect to iTunes while NAND is in socket.